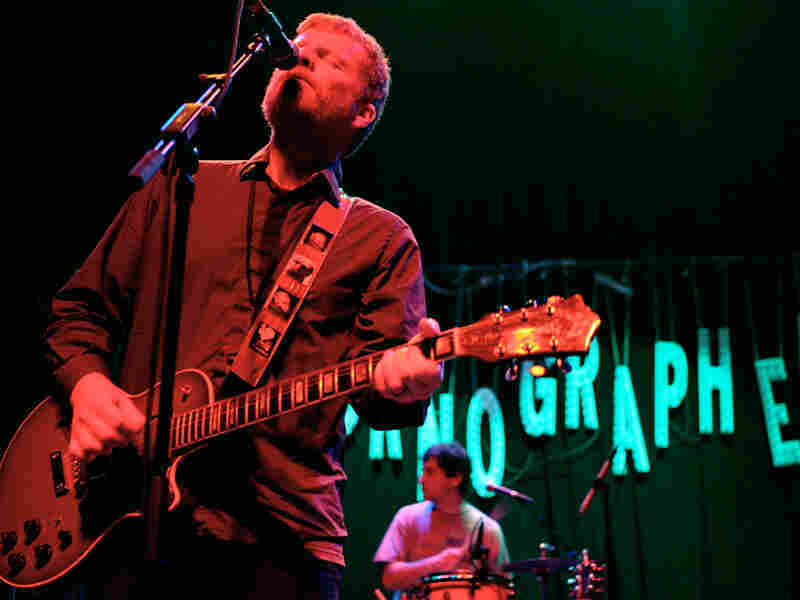 The New Pornographers In Concert Hear the power-pop band in a full concert, recorded live from Washington, D.C.'s 9:30 Club. The New Pornographers, performing live at the 9:30 Club in Washington, D.C. The New Pornographers' members help make it safe to love slick, catchy pop music. With an incredible trove of talent at its disposal, the band takes a oft-derided genre and turns it into a reliably rewarding art form. The New Pornographers' latest album, Together, is a thrilling parade of infectious hooks, power-pop guitars, whistled melodies and sweet harmonies. The New Pornographers share highlights from the album, along with old favorites, in this full concert recorded live from Washington, D.C.'s 9:30 Club. Together is The New Pornographers' fifth album, and it's backed by some of North America's most gifted musicians, including singers Neko Case and Kathryn Calder, as well as songwriters A.C. Newman and Dan Bejar.